All British Casino is one of a new range of sites from Sarah Enterprises Ltd, this one focuses on the UK but offers gameplay to players all over the world. Players can enjoy live casino games, NetEnt powered flash games and plentiful promotions too. The cheerful home page manages to cram in just about every British icon you can imagine; the Union Jack, Big Ben, a London Underground sign and even a good old British bulldog. It is the kind of site which makes you feel right at home as soon as you enter it. As far as navigation around the casino goes, it is quick and easy to get from one part to another. The homepage has all of the information you need to get started or to find out more about games and promotions. You could call it a no nonsense approach if you like but it does the job while appearing nice and friendly as well, which is about all we can ask for from a casino site. The selection of titles in the All British Casino is impressive if not the biggest on the internet. As the platform is provided by Net Ent the slots game are among the best around, with titles such as Jack Hammer, Magic Portals, Demolition Squad and Golden Shamrock all offering a very classy slots experience. There are also the types of game you would expect to find in any good online casino. The roulette option is listed on the home page as the best table game on the site, while there are also classics like Blackjack, Keno and Baccarat to give a try. The live dealer casino is another big feature of the site. In here you can play Roulette, Baccarat and Blackjack by joining in live dealer games at the Portomaso Casino in Malta, which adds a great element to traditional online playing. Any new player on the All British Casino can expect to be given a 100% bonus on their first deposit to the site, with the maximum being £50. There are also other promotions held regularly on the site, with the current one being a 25% cash back for players who lose on a Sunday. You should check out the promotions page on a regular basis to see what other offers are brought out from time to time. The sight of all of those British icons on the home page might make it seem like a corny kind of place. However, it somehow achieves the desired effect of making it seem like a homely, welcoming kind of place. Once you start playing on the All British Casino you might decide that you don’t ever need to go anywhere else, except when it is time to head off for a cup of tea of course! Customer support via live support, ticket or phone. 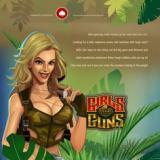 Free games are widely available at All British Casino, without the need to register on the site. There are weekly and monthly promotions available to players. These are aimed at loyal players, which keeps you coming back for more!